Debido a restricciones por parte del fabricante no podemos enviarle este artículo. Asics products to the European Union. "Great shoes, very comfortable, perfect fit and excellent value for money." "Great shoes and an amazing price!" La descripción de este artículo sólo está disponible en inglés. 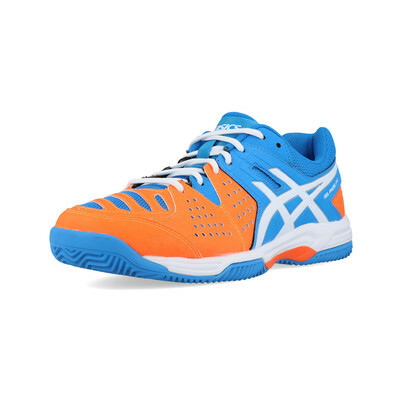 Get around the whole court in a padel shoe built for the fastest, most aggressive players. 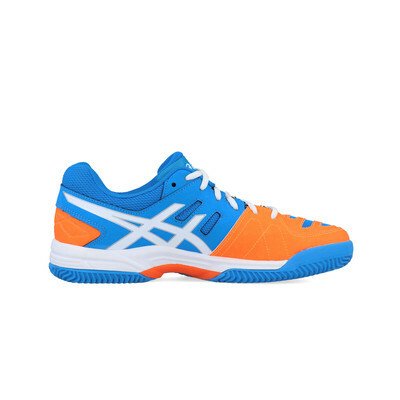 The ASICS GEL-Padel Pro 3 SG for men lets you sprint to the ball and along the baseline thanks to its propulsion plate, technology in the shoe that helps you accelerate and push off. 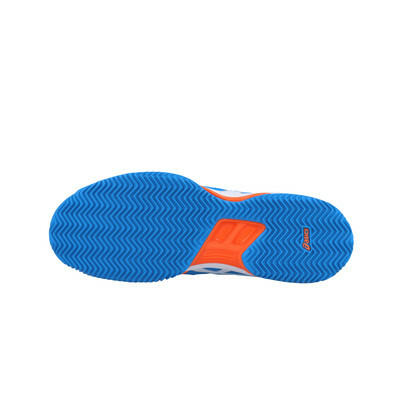 Plus, the padel-specific SG outsole gives you the right amount of grip when you move in any direction. Engineered with a synthetic and mesh upper the Gel-Padded Pro 3 Tennis Shoe provides a durable and supportive fit that is highly breathable; cool air is encouraged to permeate the fabric to remove uncomfortable heat build-up for cool comfort. Synthetic overlays increase the durability of the shoe whilst increasing support during lateral movements and providing and secure a locked-down fit. A removable sockliner provides a moisture barrier between the foot and the insole of the shoe for damp-free comfort, whilst providing light cushioning for hygienic in-step comfort. Finished with a traditional lace closure system that secures the midfoot for a secure, locked-in fit. Constructed with a California slip lasting the upper is stitched around an EVA board and directly attached to the midsole for increased stability and comfort. The forefoot GEL cushioning system attenuates shock impact when striking down on hard surfaces protecting joints and increasing comfort. Trusstic technology provides support and stability during lateral movements by reinforcing the middle part of the sole to prevent the shoe from twisting. Completing the Gel-Padded Pro 3 Tennis Shoe is the SG outsole; the padel specific outsole ensures you have grip and traction in every direction. Finished with a propulsion plate, the hard resin plates located on the outsole provide stable movement for kick-out and jumping for efficient and smooth movements. Mesh Upper- Highly breathable for regulated temperature and cool comfort. Synthetic Overlays- Increase support during lateral movements and provide a locked-down fit. Removable Sockliner- Provides a moisture barrier between the foot and insole and offers light cushioning. Traditional Lace Closure- Offers a locked-down secure fit. California Slip Lasting- Stitched upper that is directly attached to the midsole for increased stability and comfort. 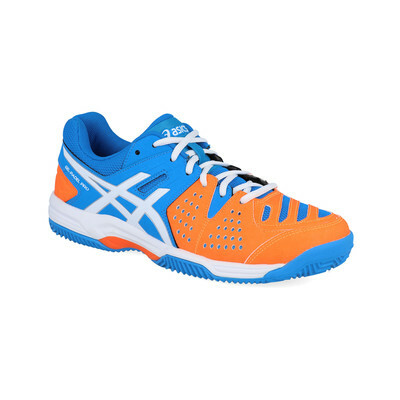 Forefoot Gel-Cushioning- Attenuates shock impact and provides cushioned comfort. 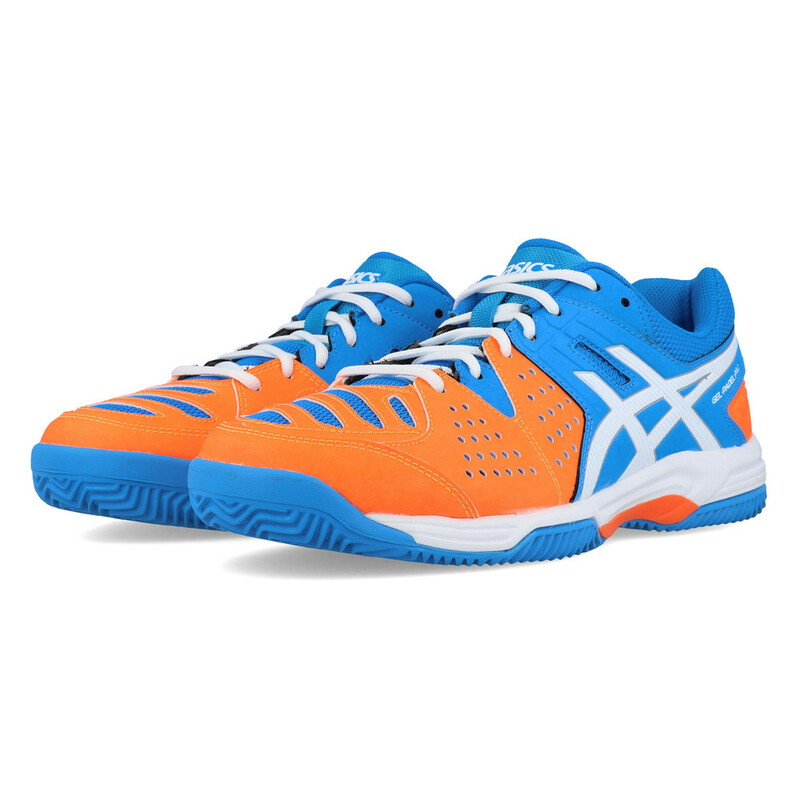 Trusstic Technology- Provides support and stability during lateral movements and prevents the shoe from twisting. SG Outsole- Provides grip and traction in every direction. Propulsion Plate- Hard resin plates increase stability for efficient and smooth movements.